HomeWhite to play and win – the answer. White to play and win – the answer. 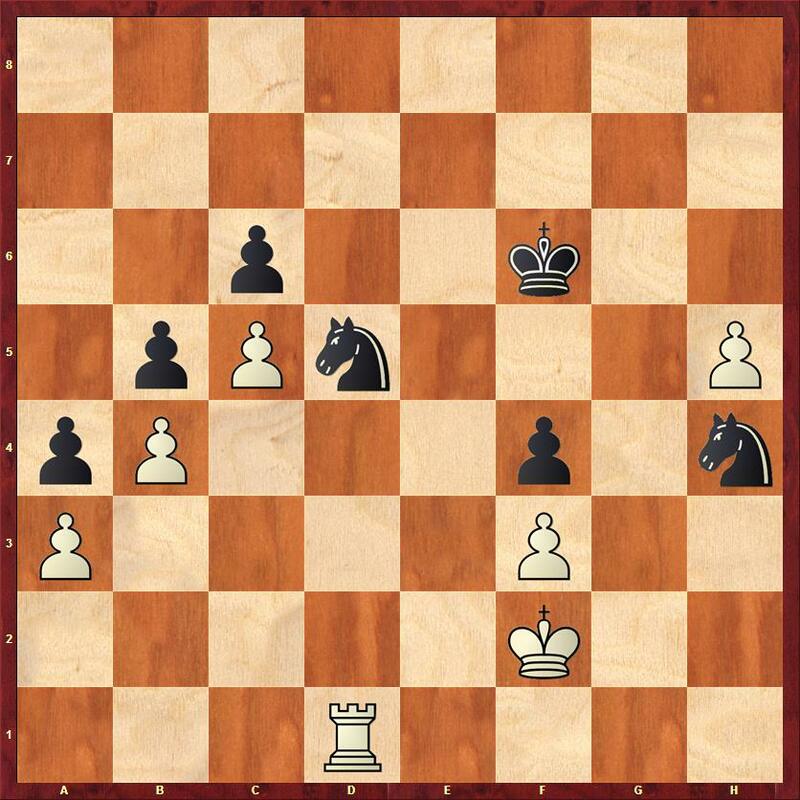 The answer is 1.Rh1 threatening to capture the knight on h4. If black moves the knight with 1…Nf5 then after 2.h6 black has to give up the knight for the pawn with 2…Nxh6 3.Rxh6 or 2…N(either)e7 3.h7 Ng6 4.h8=Q+ Nxh8 5.Rxh8 so the only sensible line is 1…Kb5 2.h6 Ng6 3.h7 Nh8. Now here there is only one move that is clearly winning 4.Rd1!! with the following ideas. If black plays 4…Kf6 then 5.Rg1 cuts the king off from the h file, and either wins the knight on h8 or after 5..Ne7 6.Rg8 Neg6 the c pawn with 7.Rc8. On the other hand if black attacks the h pawn straight away with 4…Kg6 then 5.Rxd5 cxd5 6.c6 and the c pawn can’t be stopped without allowing the h pawn to promote. Finally black can try moving the d5 knight, but then 4…Ne7 5.Rd8 Neg6 6.Rc8 the c pawn again drops with terminal consequences. 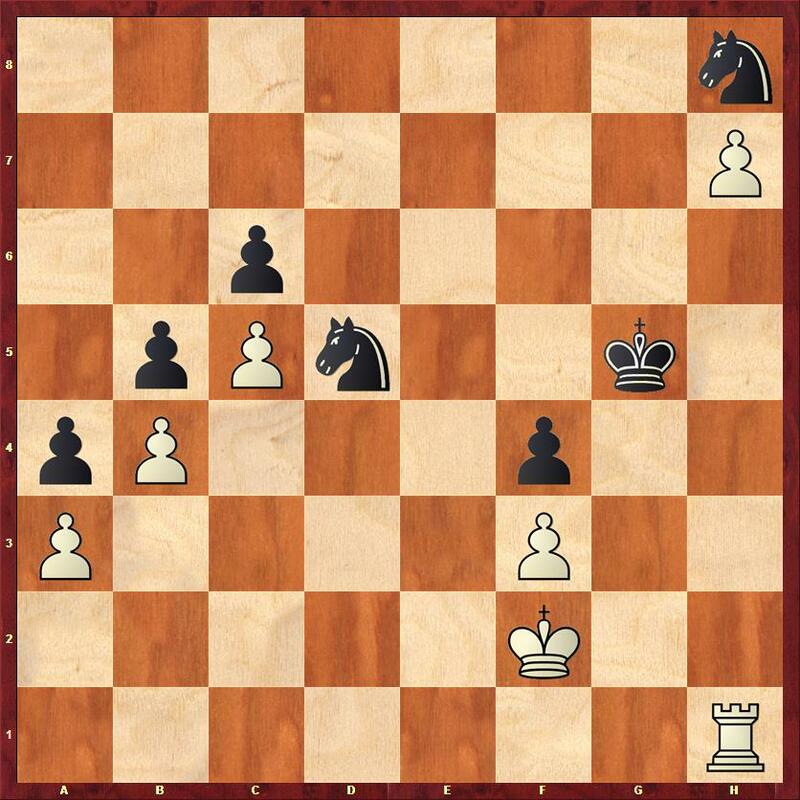 Sadly none of this happened in the game – white played 1.Rg1? and went on to lose.